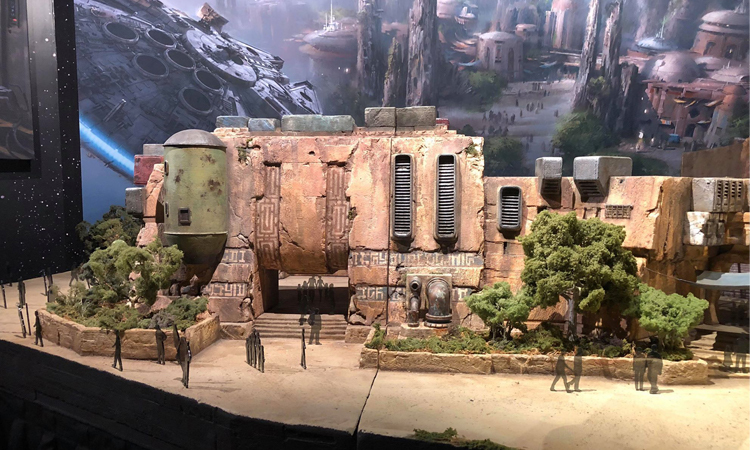 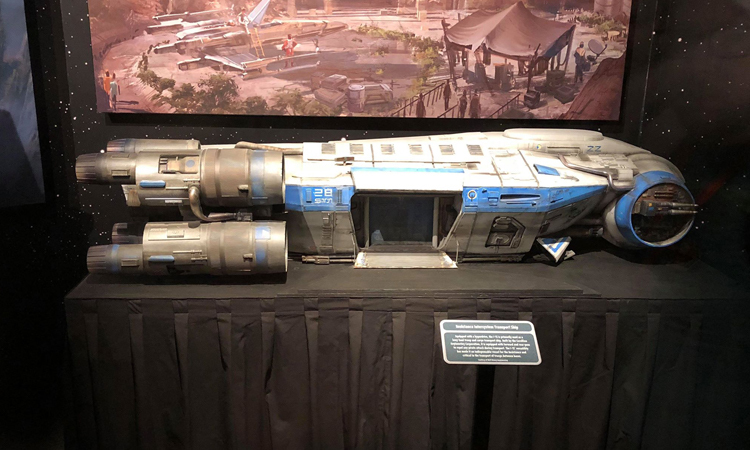 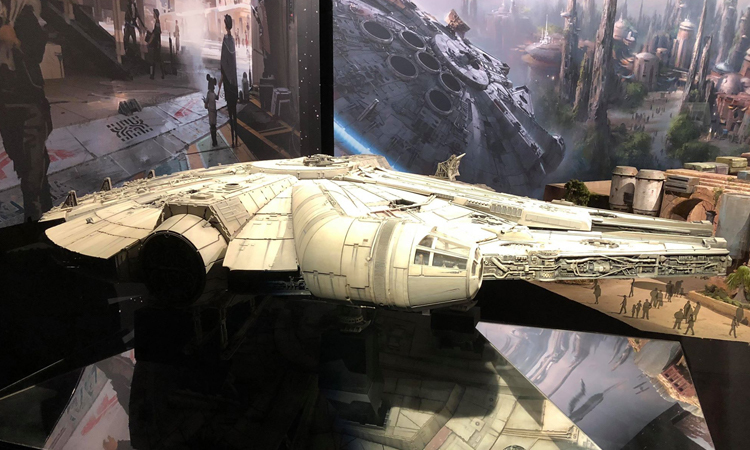 An expanded Star Wars: Galaxy’s Edge model was put on display today at Walt Disney Presents in Disney’s Hollywood Studios. 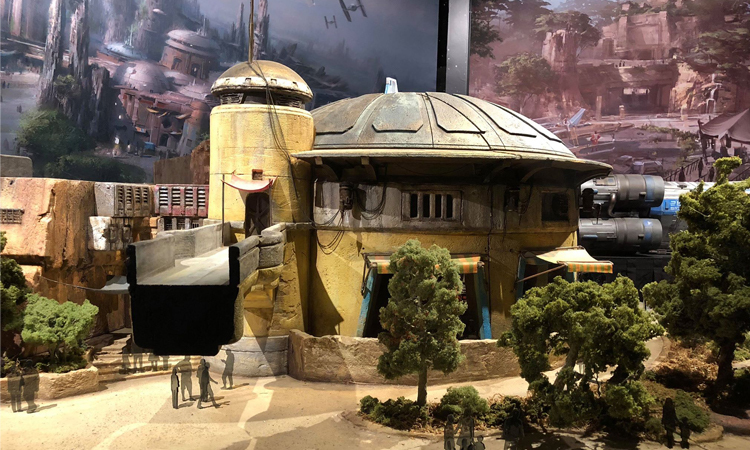 Previously this window display featured the Toy Story Land model, but that has since been removed now that the land is about to open. 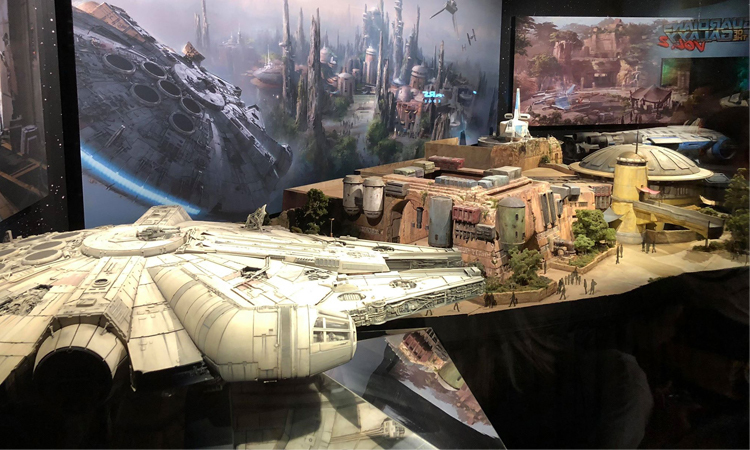 In addition to the expanded model of Star Wars: Galaxy’s Edge there is also now a model of the Millennium Falcon and a Resistance Intersystem Transport Ship. 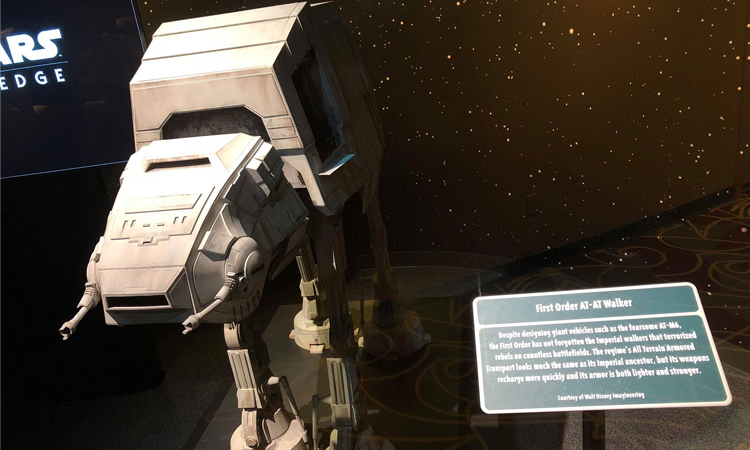 The window display that previously featured a scaled-down model of Star Wars: Galaxy’s Edge, the display now shows a model of an AT-AT.